LinkExchange SearchMe WhatWeDo AboutUs Sitemap Next page The preparation of potatoes before the actual blanching and pre-frying for the production of chips. During the last 10 to 20 years a trend is developing in favor of global potato trade towards processed potatoes in detriment of potatoes for the fresh market. Processed Potatoes versus Fresh Market Potatoes. The demand for potatoes is growing only slowly or is in decline in many developed nations. That is the net result of fewer potatoes consumed fresh on a per capita basis and more consumed in processed forms, mostly as chips or crisps but increasingly in other value added forms such as super-washed and micro-wave ready. In developing nations, consumption is growing per head for both fresh and processed but from a lower base. 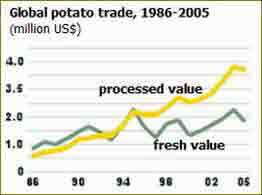 Global fresh and processed potato market in tonnes. Potato's positive attributes - its high nutritional value and potential to boost incomes - have not received the attention they deserve from governments. 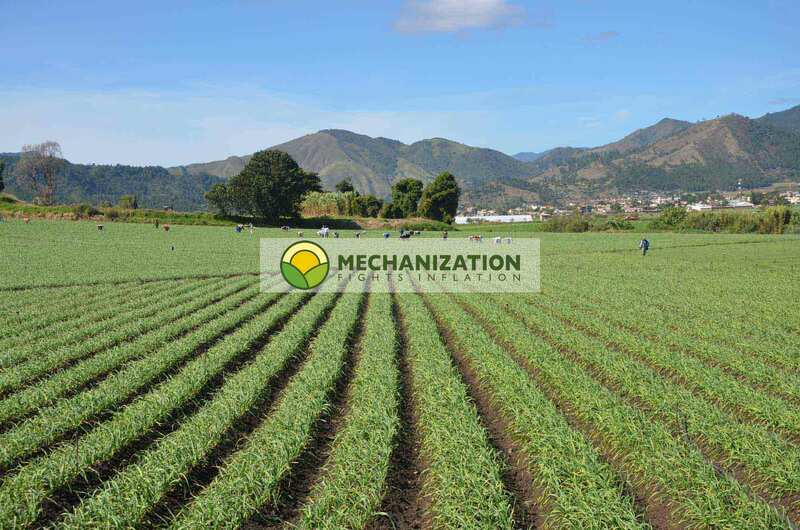 The lack of established marketing channels, inadequate institutional support and infrastructure, and restrictive trade policies are impediments to commercialization of the sector. National and international stakeholders need to place potato higher on the development agenda. 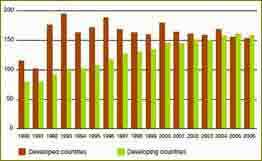 World potato production in developed and developing countries. Potato production: Developing Countries versus Developed Countries. 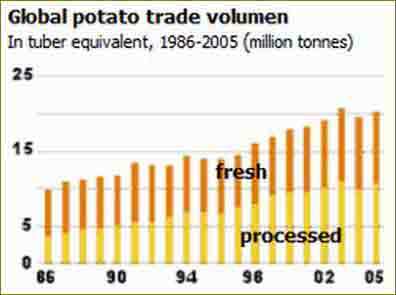 As can be appreciated in the graph at the right the Developing Countries are today's major potato producers and importers and demand is shifting from Potatoes for the Fresh Market to the Processing industry. The Global Potato Consumption is changing from Fresh Potatoes to Processed Potatoes or better said Potatoes with an extra added value. For more on this shift please go to: Potato Facts and Figures. The production of French fries, have a look at: the production process for French fries. The production of chips or crisps, have a look at: a production installation for potato chips. The production of potato flakes, have a look at: the production process for potato flakes. The production of potato starch, have a look at: a production installation for potato starch. We are not involved in the potato processing industry, there for we will not react on queries regarding this industry. If you have a query about this industry, please visit our link pages regarding potato processing industry. Next up: The preparation of potatoes before the actual blanching and pre-frying for the production of chips.